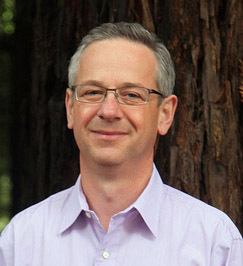 UC Santa Cruz has appointed Paul Koch, professor and chair of Earth and planetary sciences, to serve as interim dean of the Division of Physical and Biological Sciences. The appointment, announced by campus provost and executive vice chancellor Alison Galloway, is effective July 1, when current dean Stephen Thorsett will assume a new post as president of Willamette University. Koch, an internationally recognized paleontologist, ecologist, and geochemist, joined the UCSC faculty in 1996 and has served as chair of the Department of Earth and Planetary Sciences since 2006. He received the Charles Schuchert Award from the Paleontological Society in 1998 and is a fellow of the Paleontological Society and the Geological Society of America. "Chancellor Blumenthal and I are delighted with the appointment of Paul Koch as interim dean. He has considerable experience in academic administration, in addition to being an excellent teacher and researcher," Galloway said. Koch's research on the ecology and evolution of vertebrate animals often involves reconstruction of ancient ecosystems and climates to understand the environmental context in which prehistoric animals lived. His wide-ranging contributions include studies of the origin of primates and horses during a period of exceptional global warmth 55 million years ago, extinctions of large mammals in North America during the late Pleistocene Era, the transition from land to water in the ancestors of whales and other marine mammals, and the ecology of modern animals such as African lions, lemurs, bears, sharks, and seals. He has done field work in North and South America, Asia, Africa, and Antarctica. Koch earned his B.A. in geology and English at the University of Rochester and his M.S. and Ph.D. in geological sciences from the University of Michigan, Ann Arbor. The Division of Physical and Biological Sciences, with nine departments and more than a half-dozen institutes and research units, offers a broad range of programs, including 18 undergraduate degrees and 11 graduate training programs. In round numbers, the division has about 150 faculty members, 250 researchers, 450 graduate students, and 4,000 undergraduates. It has helped UCSC grow into a major research institution, while holding on to the campus's traditional strengths--a multidisciplinary approach to asking and answering questions and an innovative approach to undergraduate education.